Can I have one?! | Twende pamoja! My downstairs neighbour, Natalie, is a speech therapist volunteering with VSO for a small disability NGO called SEP (Special Education Professionals). 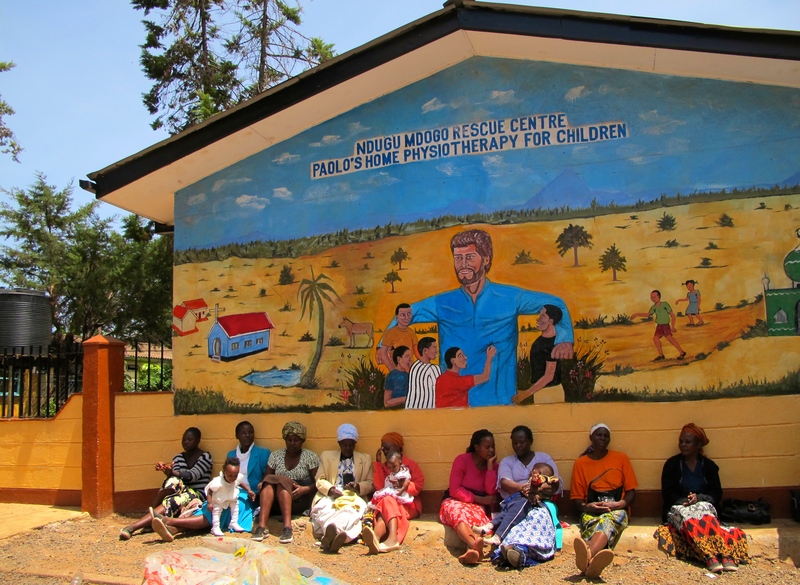 Speech therapy is in it’s infancy in Kenya with only around 12 qualified, practicing professionals in the whole country! In fact, there is no university level course on speech therapy in the whole of Kenya so people have to travel overseas to get qualified. So as you can imagine Natalie is in high-demand. One of the activities SEP runs is a toy-making workshop for the mothers of children with disabilities. As someone who very much enjoys getting covered in paint and glue I was keen to help out at a session and so Natalie invited me along to one in Kibera. On the day of the workshop the mamas started arriving with babies on their back around 10am. While initially hesitant and unsure of what to do, given a hammer or paintbrush, and a quick demonstration by the volunteers, they were quick to get stuck in. The results were impressive, the bare wooden boards were quickly transformed and were soon bursting with colour. I was amazed at the complexity of these toy boards and the ingenuity of the ideas – monkeys flying down swings, tubes to pop seeds down like a slide, and pulley chords to make things go wheeeeee! The toy-boards are specially designed to stimulate children using different colours and textures, and also help them understand key concepts such as numbers and pairs. But I have to admit, I started to think of the bare walls of my apartment and wonder whether it was appropriate for someone who was nearly 30 to create their own… I just wasn’t sure how my flat mate would react if I was to suggest it. As the heat of the day grew hotter and hotter, the mamas took breaks to look after their children but the work continued apace. It really was brilliant to see how engaged everyone was. 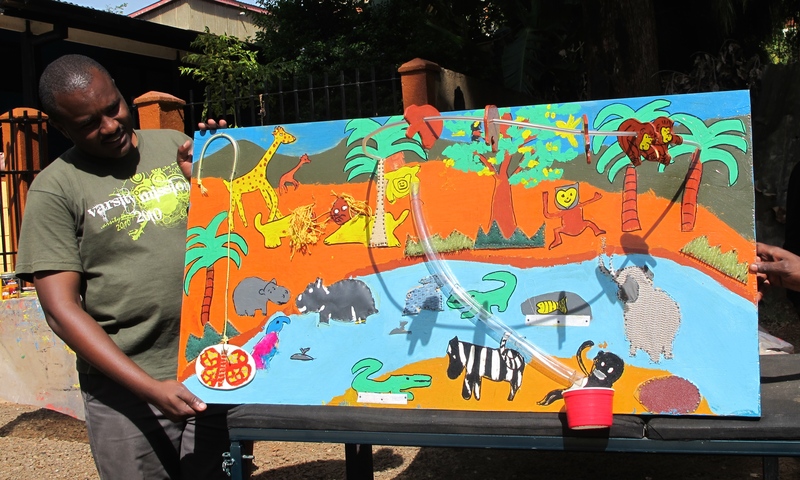 These boards are intended to be placed in the community centres which run activities for children with disabilities so that in-between sessions with speech therapists, occupational therapists, psychologists and other development professionals, the mothers and centre workers can continue to help the children grow and learn. And it wasn’t hard to see how getting the mamas to actually make the boards would ensure they would be well-used and looked after. All in all the day was fantastic! I got my arts and crafts fix, and many, many children got an educational treat that would hopefully last for many years to come (with a little love and care – I can imagine eager little hands could do a little bit of damage in their enthusiasm to play with those appealing little monkeys).